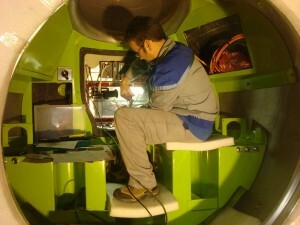 Work with composite materials. We offer the complete process of design, manufacture and testing, from construction of the model through to delivery of the final product. We are specialists in boats for leisure and racing, highly resistant anchor points, structural elements and applications for the marine and underwater environment. We have experience in new materials and applications, especially with pieces offering electrical insulation (they are non-conductive), resistance to fire, and durability even at extreme depths. 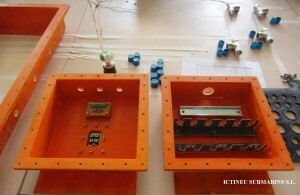 Custom design and construction of oil-filled junction boxes for underwater applications.